As a fully qualified HypnoBirthing® Practitioner, Clinical Hypnotherapist, Mindfulness Teacher, and HypnoBirthing mum myself, I have been successfully teaching HypnoBirthing classes across South Yorkshire and beyond to more than 235 mums-to-be and their birth partners over the last 7 years. HypnoBirthing, the Mongan Method is the UK's original and the world's leading HypnoBirthing programme. 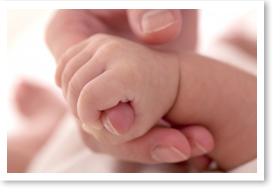 It is the most complete pregnancy & birth preparation programme available. It has over 28 years of history and research behind it and a global reach across more than 40 countries. It is evidence-based and fully accredited by the Royal College of Midwives. It is fully supported by midwives locally and I have personally taught the programme to a number of pregnant midwives. This programme's success is due to the fact that it helps to make birth the positive experience that it should be for mums, partners and babies. In fact, Radio 5 Live dedicated a whole day's focus recently to the benefits and growth of HypnoBirthing in the UK, including the endorsement it receives as a birthing programme of choice from maternity units in hospitals and birthing units right across the country. I experienced HypnoBirthing myself in April 2010 for the birth of my second child and it was incredible to experience birth as it is meant to be. I felt so in control and gave birth gently and calmly. So very different from the first time around. Since then, I have been successfully teaching Hypnobirthing classes based on the Mongan Method. As an experienced clinical hypnotherapist and mindfulness teacher specialising in helping clients with fear and anxiety, I ensure that the course is taught in line with your exact needs so that you gain the most from it. I provide both group and private classes, depending on your preference. Couples find they can fully relax and gain the most from their learning experience in a spacious,comfortable, and friendly setting. For couples who like the idea of gaining from the mutual support and exchange of ideas that being part of a group provides, I teach a maximum of only 3 couples in any one group. This enables me to support & give attention to your specific needs. If you would like further information, please book a personal call with me to discuss your circumstances , in complete confidence. I can then advise you on how the HypnoBirthing programme can support you during pregnancy, labour & birth. My free taster sessions (with the extra bonus of a new free relaxation CD I have created to help you counteract life's stresses & strains anytime) are a great opportunity to discover what the programme can offer you. Simply book your place, come along and enjoy the experience. HypnoBirthing classes couldn't be easier to book. I teach couples from Rotherham, Doncaster, Barnsley, Sheffield, Wakefield, Worksop, Huddersfield, Leeds and further afield. Just contact me via this website and I shall forward the enrolment details to you and discuss the best options available for you to start your group or private Hypnobirthing classes. This complete antenatal preparation programme will completely transform your own experience, your partner's and your baby's experience of pregnancy, labour and birth...for the better. Some therapists/websites are advertising “hypnobirthing”, “hypno-birthing”, “hypnobirth”, “Hypno Birthing”, or just “hypnosis for childbirth” or even "HypnoBirthing". The HypnoBirthing® Institute is the originator of the term HypnoBirthing™ and its founder, Marie Mongan is the creator of the original HypnoBirthing® (the Mongan Method). 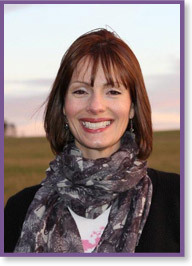 As the foremost authority in the field, the HypnoBirthing® Institute has provided detailed and credible instruction over more than 26 years to many thousands of women in the UK and in 41 countries around the world, helping them and their babies to have a calm, easier, safer and more comfortable birth. Having been trained to the highest level and fully qualified to teach the HypnoBirthing programme, Clare Moore is a registered member and affiliate of the HypnoBirthing® Institute. Her courses, teaching methods and ongoing professional development are continually monitored and fully comply with the Code of Ethics and rigorous quality assurance standards of the Institute.